BOMA/Chicago's The Elevator Speech | The online voice of Chicago’s building owners and managers. The February 26 election may be over but ballot counting continues. Mail-in ballots postmarked by election day can be counted until March 12, one week before the Board of Elections must certify the election results. While there were more than twice the number of mail ballots requested this year, turn out on election day was lack luster. The staggering number of candidates running for Mayor contributed to the low voter turnout. Not since 1901 had Chicago voters been presented with so many choices for Mayor — 14 in total. The April 2 election will feature run-offs in the races for Mayor, Treasurer and eight, or possibly nine, Aldermen. In the 6th Ward, incumbent Alderman Roderick Sawyer is hanging on by just four votes. Mail ballots are still being counted and may force Alderman Sawyer into a run-off yet. Run-offs will also take place in four wards where the incumbent opted not to seek re-election. Lori Lightfoot placed first in the February 26 Mayoral election with Cook County Board President Toni Preckwinkle 8,280 votes behind her. William Daley, viewed by many to be the candidate of business, was 7,051 votes behind President Preckwinkle. Daley was the most well financed candidate, raising about $3 million more than President Preckwinkle did. The fourth place finisher, Willie Wilson, was the only other candidate to get into double digits with 10.61% of the vote. In fact, he won more African American wards than President Preckwinkle did. The top two candidates are already busy trying to secure Wilson’s support, who is expected to decide in a week or so. Whoever receives his endorsement will enjoy a big boost to their campaign. Suzanna Mendoza secured a significant majority of the Latino vote, despite the fact that another Hispanic, Gery Chico was in the race. On election night, President Preckwinkle’s speech signaled that this mayoral race will not be for the faint of heart. It is too early to predict who may win this contest, but one thing is for certain, on April 2 the first African American female will become Chicago’s next Mayor. Less watched was the race for Treasurer. This was an open seat due to the retirement of Kurt Summers. Finishing in first place was State Representative Melissa Conyears-Ervin who received 44.3% of the vote. Alderman Ameya Pawar (47th Ward) retired from the City Council to run for this seat and placed second with 41.57%. Representative Conyears-Ervin, with an MBA in Finance, is focused on protecting the City’s $7 billion in assets, as well as the four pension funds. Alderman Pawar has advocated turning the City’s $7 billion in assets into a public bank of sorts to bank hard to bank commodities such as marijuana and to provide low interest loans for homes, cars and other items to low-income residents. Alderman Pawar’s plan takes the City in a very different and perhaps ill-advised direction considering the City’s current fiscal condition. According to OMB’s budget summary, without the additional revenue identified above, the alternative would be to reduce state operational spending by 4% in order to have a balanced state budget. Governor Pritzker also indicated that he will partially address the State’s pension funding issue in the FY20 budget advocating the General Assembly pass legislation to reduce pension costs, including: (a) issuing $2 billion in pension obligation bonds; (b) extending the “pension ramp” by seven years (from 2045 to 2052); and (c) selling state assets and use one-time and ongoing revenues for pension liabilities. Governor Pritzker stated in his speech that the long-term solution to the State’s funding issues is to restructure its income tax by approving a new graduated income tax, and dedicate a significant portion of that new revenue to provide additional funding for pensions. Both Democrat legislative leaders have announced support for the passage of a constitutional amendment during the 2019 spring session to have citizens vote on whether to change the Illinois Constitution in favor of a graduated income tax structure. The full FY20 budget was filed this week in the House by Majority Leader Greg Harris – filed as 78 separate appropriations bills (HB 3717 through HB 3795; including bills for the expected capital infrastructure program). The filing of separate budget bills for each agency is a customary practice for legislative budget hearings; however, it is more likely the FY20 budget will be condensed into three to five total budget bills (appropriation of funds and implementation bills). Not included in Governor Pritzker’s address was any indication of what revenues will be identified and used to pay for the envisioned $36 billion capital construction program. On Thursday, February 21, the Senate Transportation Committee held a subject matter hearing to take testimony on the State’s current infrastructure needs. Within that testimony, it was determined that the State currently has $39 billion for “horizontal” infrastructure needs (roads, bridges and transit – not including airports, locks, and dams) and $23.9 billion in “vertical’ infrastructure needs for maintenance and repairs of state agencies buildings and fleets – totaling a minimum of $53 billion in identified capital infrastructure projects. It is rumored that the Governor is currently looking at the following funding options: (a) increasing the motor fuel tax; (b) increasing license and user fees; (c) creating a new “mileage” tax; (d) imposing user tax on electric vehicles; (e) broadening the state sales tax to apply to certain services – while also lowering the rate; or (f) a combination thereof. The Peoples Gas Energy Efficiency Program can help your building save money and energy. The program’s energy advisors will meet with you to discuss natural gas savings measures for your building and perform a free energy assessment. In addition, you will be provided with a customized recommendation report to help identify additional energy-saving improvements that qualify for program rebates and incentives. The quickest payback incentives available in cold weather include steam trap testing and replacement, insulation and boiler tune-ups for buildings with gas-fired heat. Steam trap projects often have a payback of less than one heating season due to the savings in natural gas, water and chemical treatment. Combined with program rebates, the payback can be as low as one month. These rebates also help insulation and boiler tune-up projects pay back in less than a year. For steam trap testing, pre-approval is required for all projects. Before applying for steam trap testing rebates, contact the program to verify eligibility. The contractor you decide to use needs to be pre-approved by the program before work can begin. Steam traps can be tested every 36 months, so if you know that you’ve had steam trap testing done in the past, they may be eligible to be tested again. Get steam traps tested now to ensure you’re running at peak efficiency for the rest of the winter months. Rebates are available for steam trap testing completed before March 31. Customers can get prescriptive rebates when they install qualifying steam traps, pipe, valve and fitting insulation, boiler reset controls, demand-controlled ventilation, commercial kitchen equipment and other natural-gas-saving measures. Only new products that meet the energy efficiency specifications listed on the prescriptive application qualify. Complete terms and conditions can be found on the prescriptive application form. If you’re interested in energy efficiency upgrades not covered by the prescriptive rebate offering, you can apply for custom incentives. Energy advisors and engineers will work with you or a contractor to calculate potential energy savings for proposed projects. Financial incentives will be offered for individual projects based on projected energy savings. Customers must receive pre-approval before equipment is purchased and projects begin. The Peoples Gas Energy Efficiency Program can also help you optimize your systems to maximize your energy savings. The Study program is a new initiative designed to help customers identify and implement no- and low-cost measures to increase system performance. Customers that use at least 500,000 therms annually for steam plants and/or process heating qualify. This offer is available to customers with buildings 75,000 square feet or larger seeking to optimize central heating plants and/or air handling systems equipped with building automation systems (direct digital controls systems preferred). To learn more and start saving today, please reach out to jkimsey@franklinenergy.com or vperkins@franklinenergy.com, or visit peoplesgasrebates.com. Across Chicagoland it’s a common sight to see window washers perched on the sides of the city’s buildings, sometime hundreds of feet above the street, at work cleaning the windows and glass façades of the city’s skyline. For the past 18 months, building owners and managers first learned about and then implemented the changes in Occupational Safety and Health Administration (OSHA) Final Ruling for Façade Access Equipment for General Industry — as it related to window cleaning. What issues have surfaced as the rules were implemented? As BOMA members learned, the ruling contained numerous regulatory updates but two sections impacted nearly every building in the Chicagoland area. The first was the requirement for owners to provide compliant anchorages to allow for rope descent systems (RDS), also known as bosun’s chairs, which is the most common technique for window cleaners (OSHA 1910.27(b)). This owner requirement is not stipulated for anchors used for construction purposes. The second update was defining when fall protection is necessary along edges of low-slope roofs (OSHA 1910.28(b)(13)). Requirement of anchorage and certification of anchorage. Establishment of zones based on a worker’s proximity to a roof edge and the stipulated safety measures of that zone. What are some of the issues that building owners and property managers have encountered since implementation of the rule began? Qualified Consultants. While difficult to find, it is recommended that owners and property managers identify qualified consultants who understand the various nuances of OSHA and can provide practical solutions. The consultant will need to understand the design load requirements and the behavior of the existing building structure to develop the proper anchorage design. The design should include anchors that provide adequate coverage for both rope descent and fall protection, while maintaining efficiency for the end user. Qualified Installers. Qualified installers are a must and those installers need to be prepared to deal with a range of issues. Sometimes the rooftop conditions are not as expected. In addition, older buildings may not have a complete set of the original structural drawings. Once the roof is opened to install the anchor points, thick insulation or topping slab may be discovered. To avoid surprises, some exploratory work may be needed to determine what is required to ensure a proper installation and avoid costly change orders. Inspection/Testing. For some building owners and property managers, the frequency of inspection and certification of the anchors is confusing. A qualified consultant must certify each anchorage at least every ten years, usually by a physical load test of 5,000 pounds. Additionally, OSHA states a qualified person must visually inspect each anchorage annually. Proof of certification in writing is to be submitted to the vendor prior to usage. If your building does not have compliant anchorages — or no anchors at all — new anchorages will need to be designed, installed and certified. Unbudgeted Expense. The lack of compliant anchorages, underperforming anchorages or no anchors is not uncommon especially for older buildings. Addressing the issue can require a significant expenditure that may not be budgeted. In that scenario, some building owners and property managers have suspended the window cleaning and live with dirty windows until the funds for the project can be allocated. In our experience, there has been a quick and widespread response from Chicago area building owners to comply with the rule changes while other regions have not acted as rapidly. As more of these systems are installed, updated, upgraded and certified, it’s hoped that the days when a window cleaner tied off to an air conditioning condenser, a vent, a gate or even conduit have passed into forgotten history. Terry McDonald, S.E., P.E. is an associate principal and a senior structural engineer at Klein & Hoffman, structural engineers and architects, and BOMA/Chicago member. 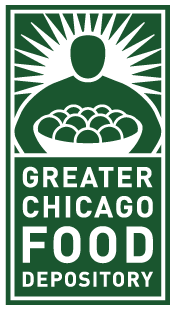 Each year, the Greater Chicago Food Depository (GCFD) provides meals for 1 in 6 residents living in Cook County. This translates into 810,000+ men, women and children. For those of us in the CRE industry, food insecurity may be a distant thought. Many of our business discussions, meetings and transactions occur over meals. But for many people across the Chicagoland area, planning the next meal is a stressful thought. Food is weighed on a scale of importance – the question is not which restaurant to try next, but whether or not to pay for food or utilities instead. BOMA/Chicago helps the food insecure of Chicago answer that question by rallying behind the annual GCFD Holiday Food Drive. This year marks the tenth anniversary that we have partnered with the GCFD on this initiative. During these ten years, we have collected over 740,000 pounds of food. This year, 155 BOMA/Chicago buildings have united to reach of a goal of collecting 120,000 pounds through physical and financial donations. Our generous members and their building tenants demonstrate a passion year after year to help feed Chicagoland – and because of this, we expect to exceed our 120,000-pound goal. The JLL property management team at the Civic Opera Building (20 North Wacker). We are only two weeks into the food drive and many buildings have already emptied their large donation barrels multiple times. This is the case for the Civic Opera building at 20 North Wacker (managed by JLL). Other BOMA/Chicago buildings are encouraging their tenants to host unique games and competitions to drive donations, such as the Harris Bank Building at 115 South LaSalle (managed by Hines). The Hines management team has shared great ideas with their tenants as a way to increase donations, such as Denim Days and hosting a lottery. You can lend a helping hand by making a donation through December 7. If you want to make a physical or financial donation, visit this webpage to find a list of participating locations. You can drop of food donations at building lobbies or click on a building link to make a financial donation ($1 =3.6 pounds; $1 = 3 meals). Financial contributions are recommended, as the GCFD is able to buy nutritious food in bulk at lower prices.